"fantastic hotel very friendly staff, clean, great location , i will stay again next year..."
"Perfect location, apartment was excellent for a larger group - very reasonable price too. Thank you!" "Nice place and well located. Perfect staff!" Downstairs boasts Temple Bar's most intimate and funkiest interior, with state of the art digital sound system and LED lighting system. Need accommodation in Temple Bar? The Riverhouse Hotel is ideal! Our Dublin city centre hotel offers rooms with the emphasis on comfort. 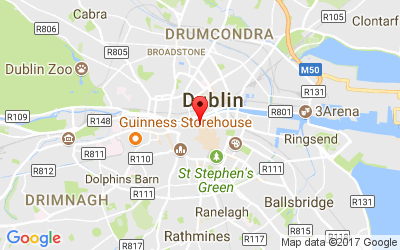 Conveniently located if you are coming to Dublin for a concert in the O2 Arena, or for match at Croke Park Stadium or the Avivia Stadium. 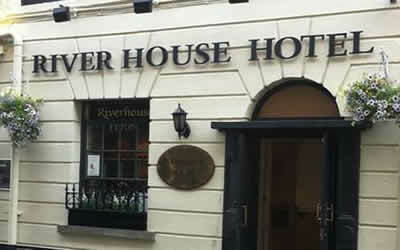 The Riverhouse Hotel is one of Dublin city's most centrally located hotels, right in the heart of Temple Bar. With our prime location we are one of the top Dublin Hotels for city breaks, midweek deals and weekend special offers. 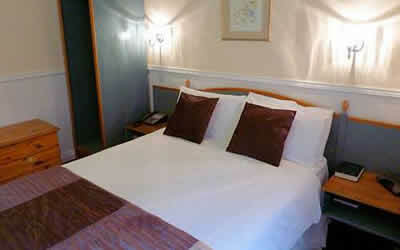 If you are looking for a Dublin Hotel or Temple Bar Hotels we are ideal. We are within walking distance to Dublin's top bars, cafes and restaurants, as well as all the main Dublin tourist attractions. The Mezz Venue downstairs boasts Temple Bar's most intimate and funkiest interior, with state of the art digital sound system and LED lighting system. Guests should note this as we would not be considered a quiet hotel. All of the Riverhouse Hotel rooms are tastefully decorated in a modern style with the emphasis on comfort. Each of our 35 bedrooms consist of a private en-suite bathroom, tea / coffee making facilities, TV, radio, hair dryer and direct dial telephone. If you are looking for budget, low cost hotels in Dublin city centre, the River House Hotel is ideal, save on price not on quality. The RiverHouse Hotel is conveniently located if you are coming to Dublin for a concert in the O2 Arena, or to watch your GAA team play in Croke Park Stadium, or to support either the Irish rugby team or the Irish football team as they battle it out in the Avivia Stadium. Coming from Dublin Airport we recommend that you take the #16 Dublin bus from outside the arrivals hall. We are approx 2 mins walk from the stop, indicated on the location map. The nearest car park to the hotel is Jervis Street Car Park, to see the location click here. Please ensure you get your car park ticket stamped at the hotel reception for special discounted rates.